Renting out your home can be a great idea to make some extra money when you’re out of town and your home is sitting empty. Great idea – but don’t forget to consider the insurance coverage for rentals! All kinds of potential problems, however, may come to mind when considering renting your home — either to vacationers or long-term tenants. What if someone sleeping on your couch or spare room accidentally starts a fire? Are you protected? What if they steal something? Your existing homeowners or renters insurance policy may already allow for short-term rentals without having to make any modifications. You may or may not have to notify your insurance company. If you’re renting out your home for a single occasion, you may need to notify your insurer ahead of time, and then your existing coverage will be extended to the renter. Some insurers may require an endorsement, also called a rider, to the existing policy to provide insurance for rentals, especially if you’re doing it regularly. If you are engaged in short-term rentals to “guests,” such as through Airbnb, your insurance company may decide that those rentals constitute a business. Most insurance policies don’t provide coverage for business activities inside a home. 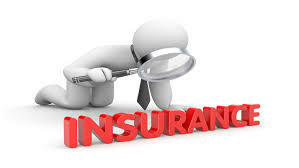 If your insurance company follows this line of reasoning, you will have to get a business policy, such as one for a hotel or bed and breakfast. 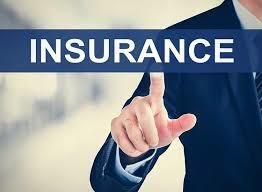 You definitely need to review your insurance coverage for rentals with your service provider. Some insurance companies also offer home-sharing liability insurance, which can be purchased on a month-to-month basis as you need it. If you’re renting your home or a vacation home to someone for six months to a year, you’ll likely need a landlord or rental dwelling policy. These cost about 25 percent more than standard homeowners policies to provide increased protections. Landlord policies provide property insurance coverage for physical damage to the structure that’s caused by fire, lightning, wind, hail, ice, snow or other covered perils. Personal property that’s left on-site for tenants or for maintenance, such as appliances and lawnmowers, is covered. A tenant’s personal property wouldn’t be covered under the landlord’s insurance. It will also include liability coverage if a tenant or guest is injured on the property, covering legal fees and medical expenses. Landlord policies can also provide coverage for loss of rental income if you can’t rent it out while the home is being repaired or rebuilt because of damage from a covered loss. Before you sign that lease or join Air BnB, review your insurance coverage for rentals. This is the time to have a candid conversation with your insurance agent to make sure that you have the right insurance coverage in place!